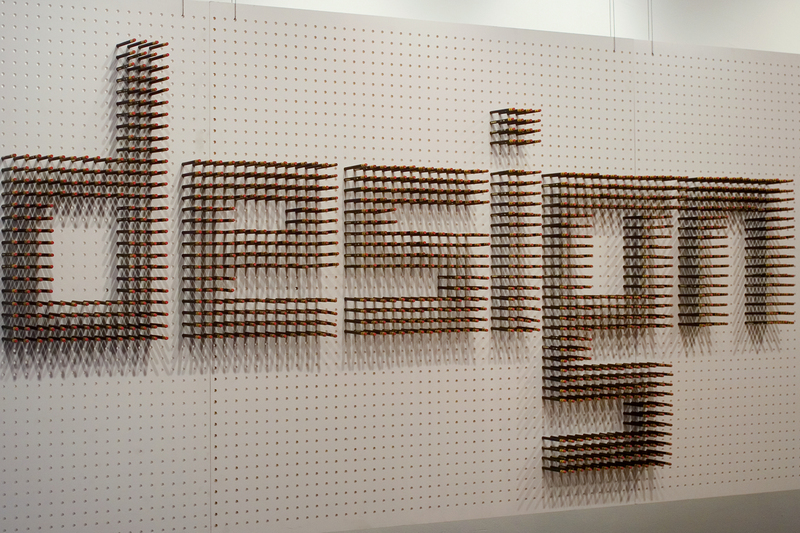 To designers, a new office isn't an empty room. It's a blank canvas. An invitation to imagine. So Spagnola & Associates welcomed the challenge of creating its new space in 2011. 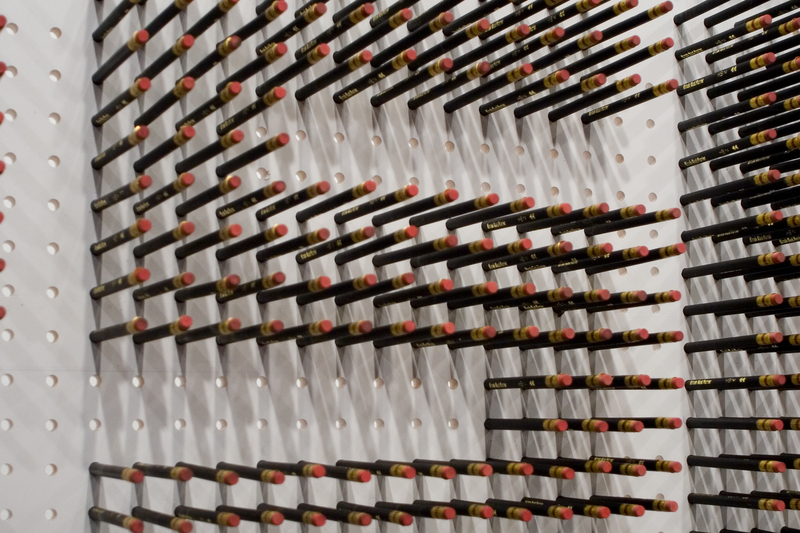 We began by getting back to the basics: The humble pencil. Though, perhaps not so humble when you assemble 2,804 of them and hammer them into pre-drilled holes on a 20 foot wall. 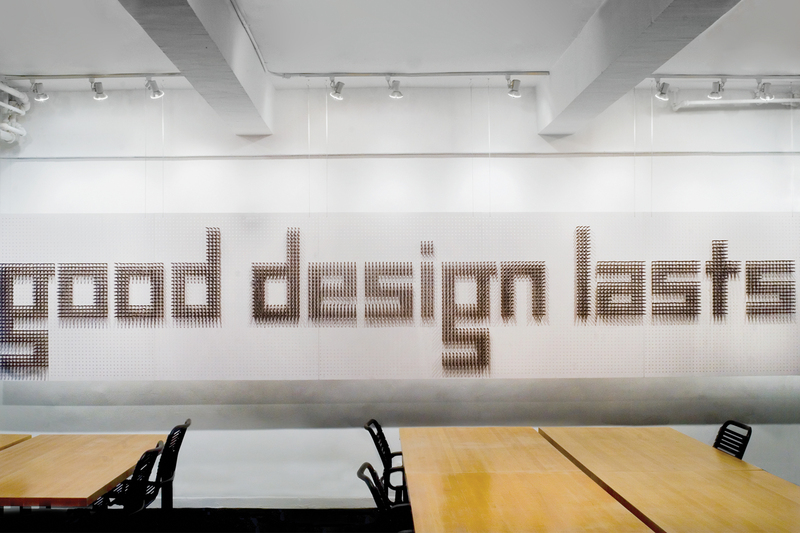 The dimensional mural's custom lettering proclaims, "good design last."